The hardest thing in aerial travel, nowadays, is not to fly, but to get quickly to and from the airport; especially in such cities as New York. An architect, Harry B. Brainerd, has worked out a solution in connection with the great docks which will be built for the new huge liners. 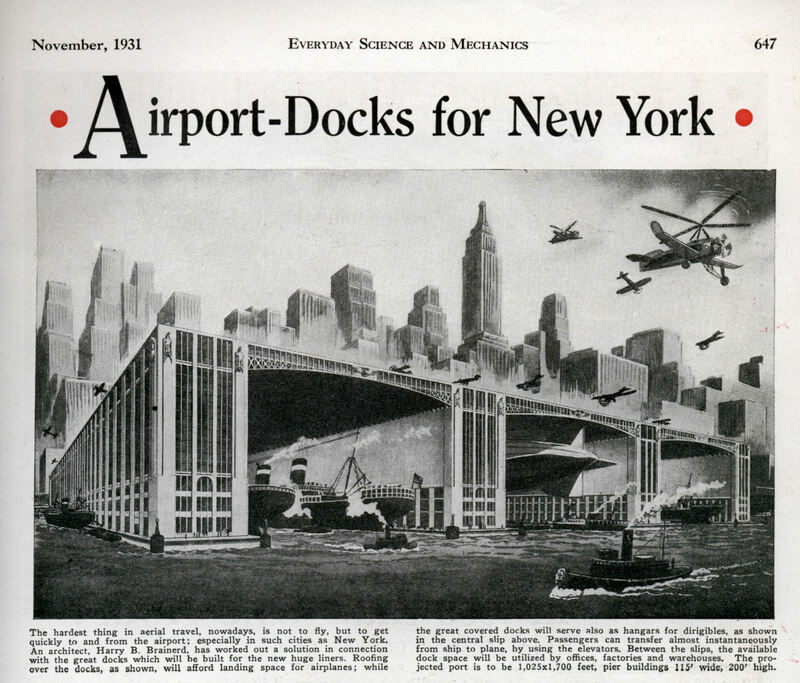 Roofing over the docks, as shown, will afford landing space for airplanes; while the great covered docks will serve also as hangars for dirigibles, as shown in the central slip above. 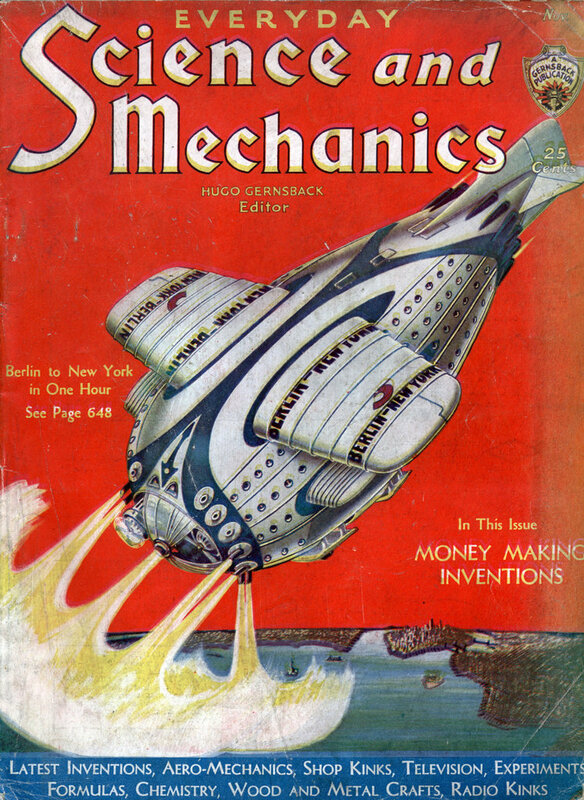 Passengers can transfer almost instantaneously from ship to plane, by using the elevators. Between the slips, the available dock space will be utilized by offices, factories and warehouses. The projected port is to be 1,025×1,700 feet, pier buildings 115′ wide, 200′ high. In 1925 the American aluminum giant Alcoa commissioned the planning of a model town on the banks of the Saguenay River, to be built around the largest aluminum smelter in the Western world. Inspired by the American City Beautiful movement, New York architect Harry B. Brainerd drew up an ambitious master plan for a regional metropolis of 50,000 inhabitants. Responding to the majestic site, Brainerd carefully sited residential districts of straight and curved streets connected by radiating avenues between the area’s small river valleys. The downtown area, facing the smelter, was designed as a “Civic Center” of monumental scale. As the largest Canadian company town built this century, Arvida bears witness to the rapid evolution of urban planning as designers employed new approaches in prefabrication, standardization, and public hygiene. Here the rigorous zoning of commercial, residential, and industrial sectors ensured that public amenities were carefully integrated into the landscape and fabric of the city.